One of the more confusing things for new ArcGIS users is that they probably need either Spatial Analyst or 3D Analyst to do their work. It’s almost a foregone conclusion that every ArcGIS for Desktop license will have at some point either one of those extensions. As I’m getting back into Server though I’m starting to take a look at those extensions as well. Specifically the GeoEvent Extension has caught my eye. Conversations on Twitter basically expose that it either works or it doesn’t and it’s either great or maddening. Sounds like typical Esri software. The thing about Server extensions though is they mostly have a Windows requirement to run (thankfully GeoEvent doesn’t). 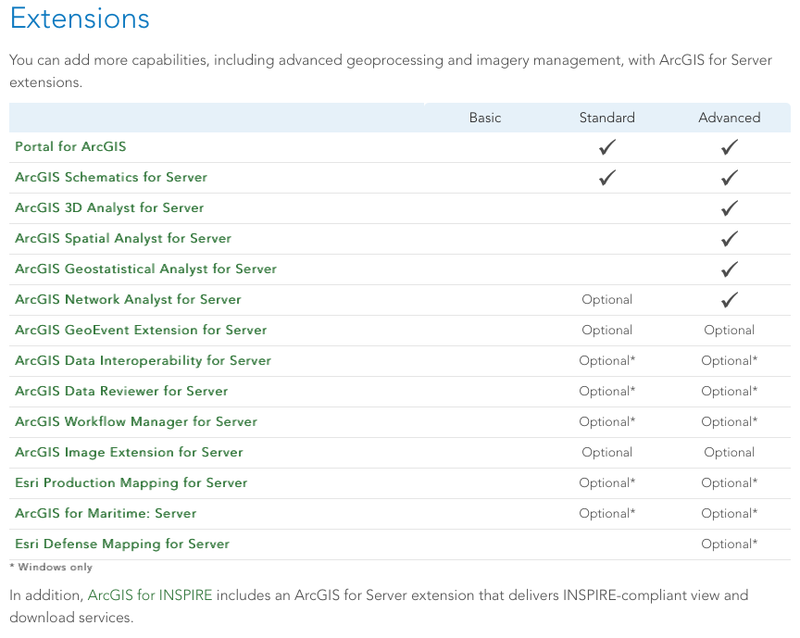 As I’ve jumped back into ArcGIS for Server I’ve been impressed with it’s maturity but alas it’s still a windows only product which limits its use in hosted environments. I’m not oblivious to the reasons why these things go Windows only but it is a shame that Workflow and Data Reviewer require windows. Hopefully as Esri transitions into a more software agnostic development environment, they’ll start fixing these Windows only requirements. At least GeoEvent Extension runs on Linux, wish me luck with that….